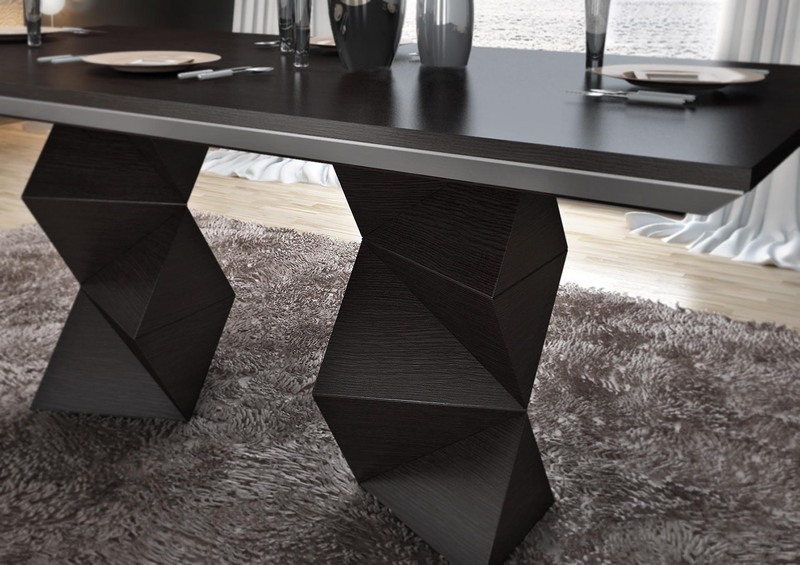 Dining table veneer in oak or walnut with 2 bases in pyramid design. Extension (+45 cm) is inside the table. 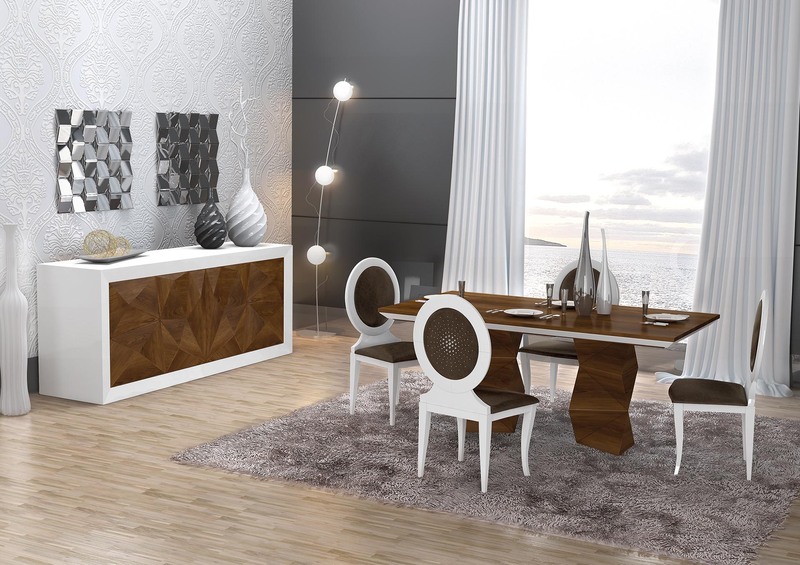 Buffet in high gloss lacquered wood and doors in pyramid design opened by push -pull system. Chair No 58 with frame in solid beech wood.